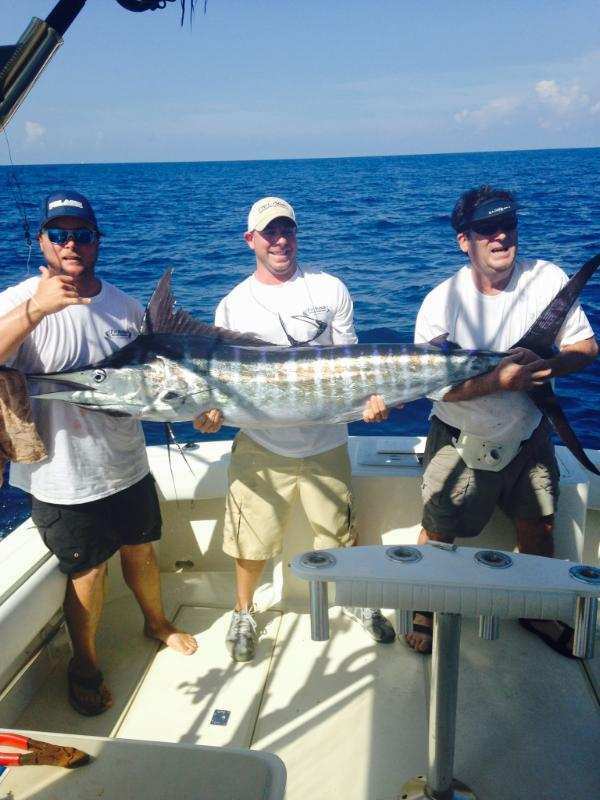 From November to March we primarily fish for sailfish using live bait and light tackle. The Atlantic Sailfish ranges from 40-65 Ibs and is approx. 75-85 inches in length. The sailfish is one of the fastest fish in the ocean and puts on quite an acrobatic show when hooked up. The sailfishing is done approx 6 miles offshore, just outside the reef line. 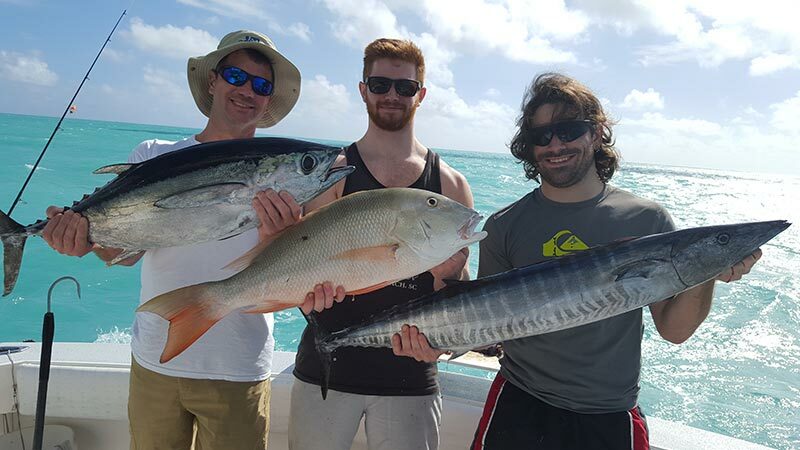 Key Largo with its numerous coral reefs offers some of the best sailfishing in the world. 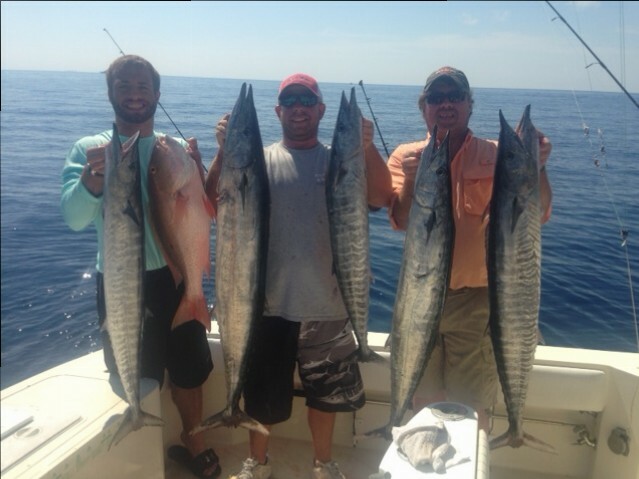 When sailfishing we normally fish 4-5 live baits on the surface and one bait on a bottom rod. 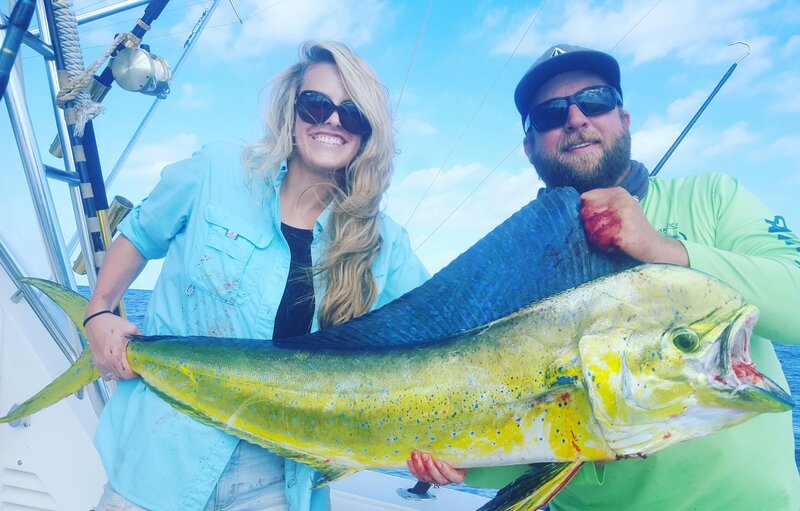 On the surface in addition to sailfish we can catch dolphin (mahi-mahi), tuna, wahoo, cobia, sharks, barracuda, and other species. 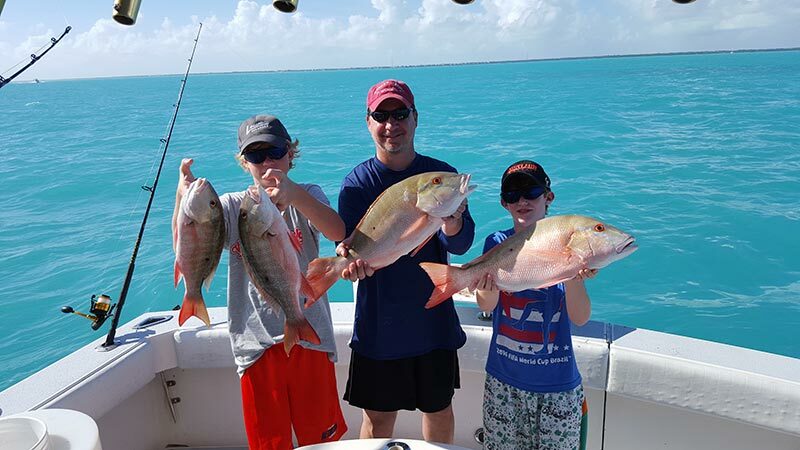 The bottom rod will usually produce grouper, snapper and kingfish. 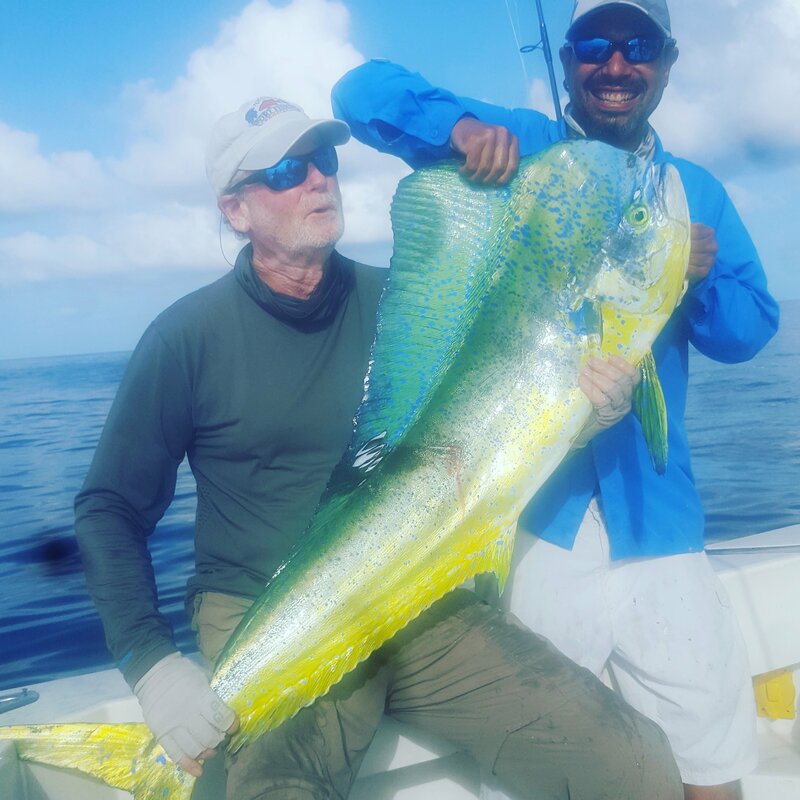 The sailfishing trip will start off by us stopping at a bait patch to catch the live bait, once the baitwell is full with ballyhoo, we will head to the edge of the reef and the action begins. 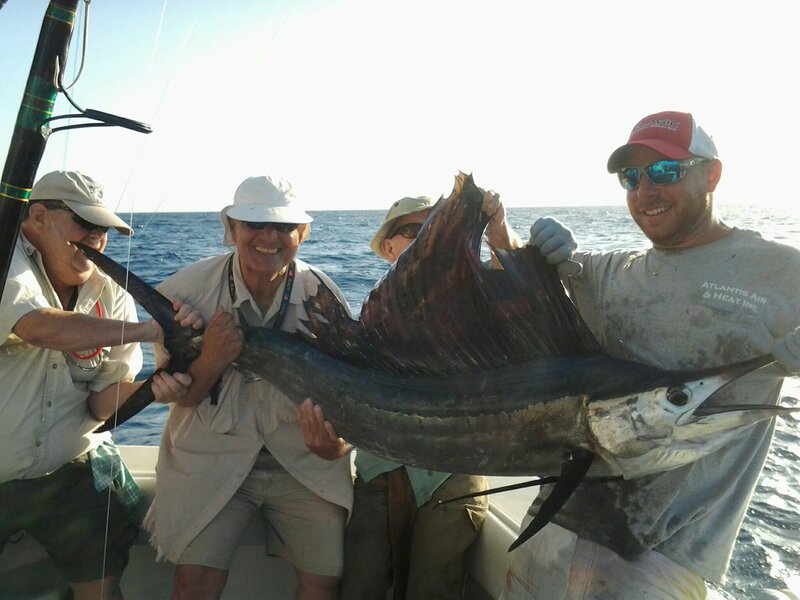 If you have never hooked into a tail walking sailfish on light spinning tackle (201b)you are in for the thrill of a lifetime. 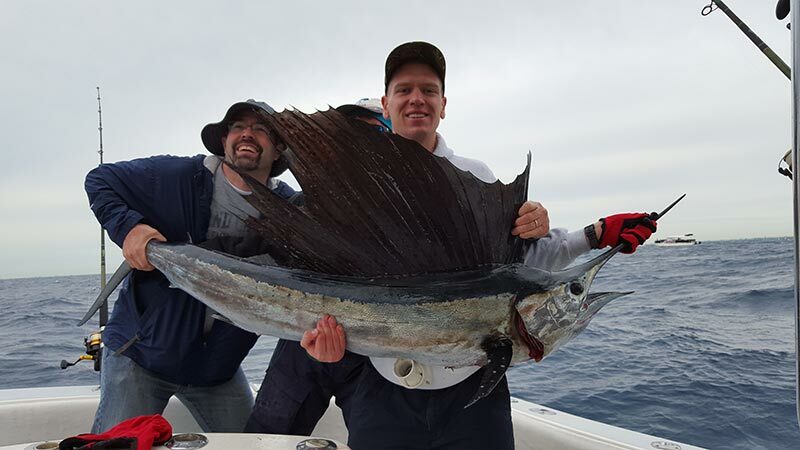 Sailfish is catch and release, any other fish that make good table fare will be cleaned by the mate and can be enjoyed at one of the local restaurants for your dinner. 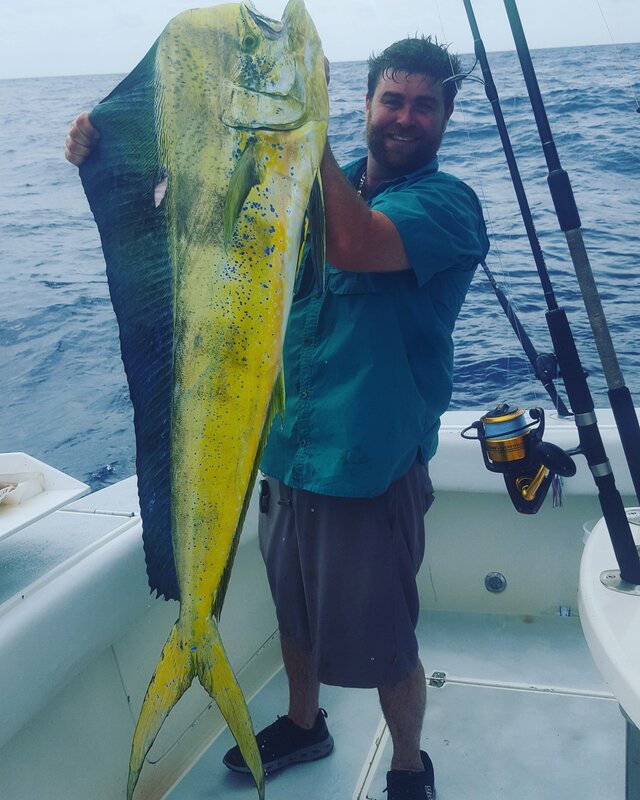 From May thru October we primarily fish for dolphin (mahi-mahi). 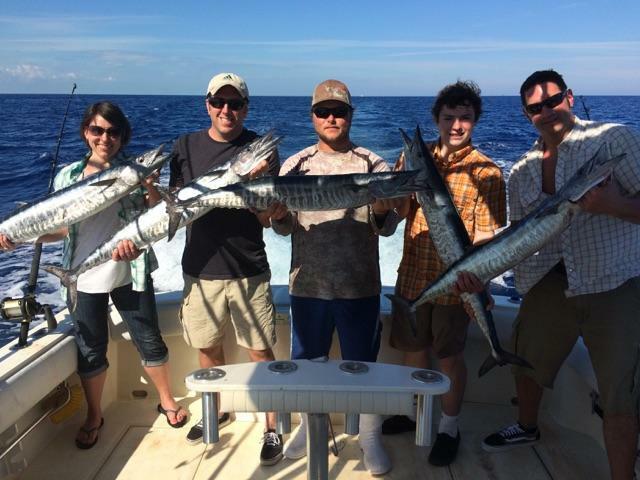 We also will catch tuna, wahoo, marlin, shark, amberjack and others. During the spring and summer months the dolphin population simply explodes. We will normally troll rigged baits and lures to locate schools of dolphin that range from 5 Ibs to 60 Ibs. Once a school is located their voracious appetites and abundant numbers will result in a feeding frenzy you’ll never forget. The dolphin are excellent table fare, you’ll want to keep a few for dinner. Your mate will clean and bag the fish, for you to have cooked up at one of the local restaurants. One of the greatest excitements in Keys Fishing is hooking into a dolphin and watching the acrobatics, they put on quite a show. 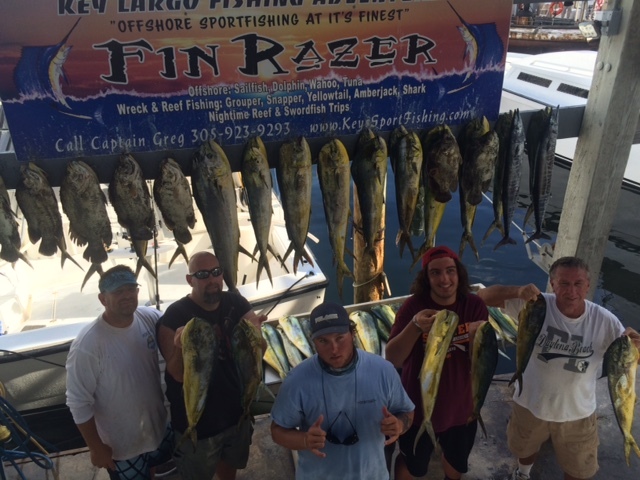 Book any of our boats, The Fin Razer, and The SOZ, call Capt. Danny at 305-923-9293 or go to our contact page.